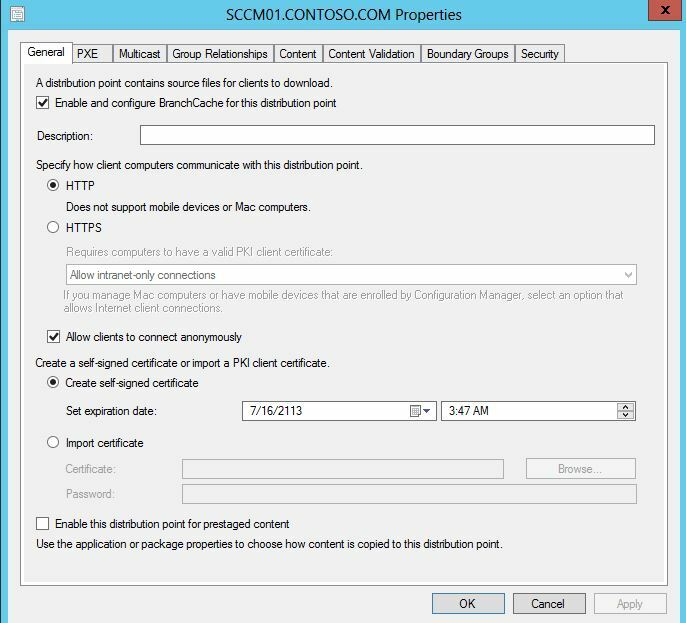 In a SCCM 2012 R2 environment, you may be able to distribute other contents except built-in package – “Configuration Manager Client Package”. distribution manager is waiting for package content to be prestaged on the distribution point. Go to the Distribution point properties and uncheck “Enable this distribution point for prestaged content”. It is safe to enable this after failed packaged is distributed successfully. Also ensure that you have installed “IIS 6 WMI Compatibility” feature. This is a mandatory requirement for SCCM 2012 deployments. Once these two are done, Configuration Manager client package will get distributed to all sites.